Sakuragi Ryo believes there are three different ranks inside the high school hierarchy. The "A" rank consists of the best looking, the smartest, and the most athletic members of the high school. The "B" ranks are the average members, while the "C" ranks tend to be ignored by the rest of the school. Against his own will, Ryo was dragged into the "A" ranks of his middle school, leading a school life he did not choose. Now entering high school, he vows to stay out of the limelight, and cement himself as part of the "B" ranks. He just wants to live a peaceful and uneventful school life. One evening after school, he runs into a scene of three delinquents surrounding a girl. He was hoping he wouldn't have to intervene, but the girl was in desperate need of help. The girl he just saved happened to be the prettiest girl of his high school, and now she wants to repay him for saving her. Ryo now must take all measures to not attract the attention of the rest of the school to stay in the "B" ranks. Normal high school student Tateishi Kaoru's girlfriend is the popular idol Inui Yuki. After school, Kaoru finds Yuki entering a love hotel with another man. The recent prostitution rumors linger in the back of his mind as he chase after her, but he had to know the truth. As he encounters the gigantic man who seems to be stalking Yuki, he begins to uncover the mysterious powers surrounding his girlfriend. Shinonome Azuma hasn't made any friends in high school, and his classmates pick on him and get him to do lots of work for the classroom. One day, he runs into a transfer student, Saionji Sai, who says he is a director from his former school's club, and who convinces Azuma to join the theater club with him. 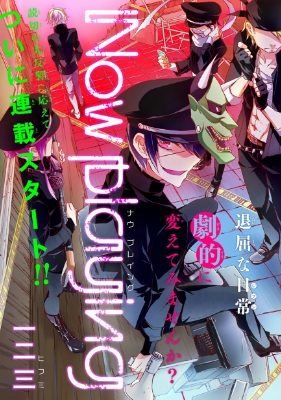 After joining the quirky theater club, timid Azuma's life will never be the same! Orihara Rentarou thinks that he's an ordinary high school student, who spars everyday with his much more highly skilled friend Haruhiko, who he thinks of as an older brother. His school is near a blocked-off area of town, where people are forbidden to go due to the presence of "Others," monsters who attack humans. Then one day, after bats mysteriously swarm the school and seem to target him, he begins to hear a voice in his head that tells him to go to the blocked-off area. Soon he discovers that the Others are real, and that he is one of them. There is a group called "Samurai," whose members are Others dedicated to fighting the human-killing monsters who are contained in the area. After this revelation, Rentarou is uncertain of who he is anymore, but he joins Samurai to fight evil Others alongside Haruhiko and their other comrades. 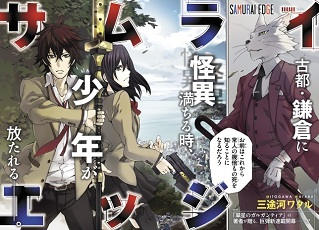 This week, Samurai Edge would be a good one for people who like shounen fighting manga. I think there's nothing out of the ordinary for the genre, but I thought the art was pretty good. 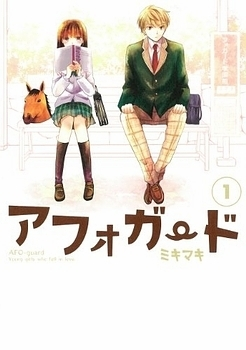 Afo Guard is for those who want ridiculous humor with their school romances. Now Playing looks like it will be the story of Azuma coming out of his shell, for people who like quirky high school club stories. Dry Heavy: Only reading through 6 chapters really doesn't reveal much. This manga can be very suspenseful. B-Group: This one's cute. It goes with a rather different spin on the boy-meets-girl cliche. Grand Blue: You wouldn't expect the amount of comedy in this one from the title/cover. 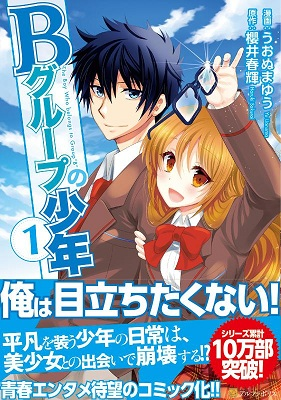 B Group no Shounen - If you're looking for another school life romance manga, this one is based on the novels of the same. If you liked the novels, then you may like to read the manga version. I'm pretty interested in seeing how he tries to remain "average." 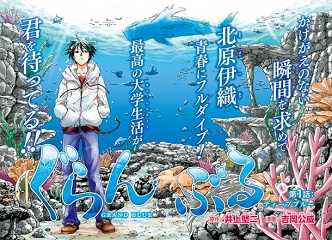 Grand Blue - If you're in the mood for slice of life comedies, involving aquatic life, then you should take a look at this manga. Now Playing - The description kind of reminds me of the manga/anime "Hitohira" so if you like manga about acting, then you'll probably like this. Samurai Edge - If you're into action with a mix of supernatural creatures, then this manga is for you. 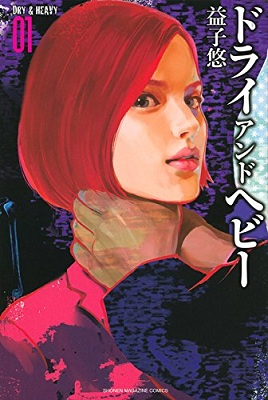 If you haven't done so already, check out the scanlations of the mangas from previous shout outs which have been recently scanlated: sci-fi drama Hiniiru (MH link).